December 2009 - Pebbles, Inc.
We’re finishing our Keeping it Simple series this afternoon with some seriously cute and simple ideas! Need a last minute idea for wrapping a gift card? 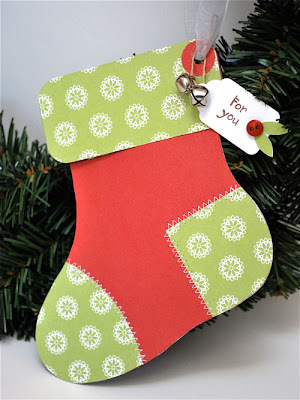 Lynn made this super cute stocking gift card holder using paper from the So Tweet Collection–I love the stitching! 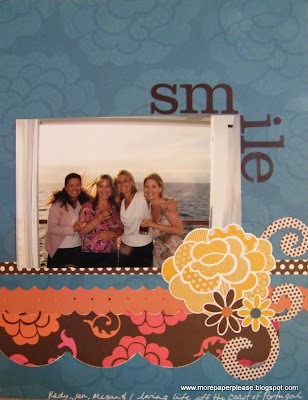 Emeline made this fun dimensional card using a variety of Pebbles papers…I’m seeing some Linnie Bell, Lil’ Miss, So Tweet and Downtown all on this card! What a great way to use a little bit of everything! This would be a fun advent card! I love a good grid! Christa limited herself to 30 minutes for this card and stuck to it! A grid is always a good place to start when you’re not quite sure what to do! Such a cute card! I’ve said this before, but I think I’ll say it again! We have such a talented Design Team–everyone brings a different and unique style to the team, and I think that’s what makes it so great! They are all so talented! We are giving our DT a little break from the Pebbles blog for the next two weeks, so we’ll see you back here in January with Samantha hosting the blog! It’s been a year of change for everyone at Pebbles and we’ve loved having you along for the ride! From everyone in the Pebbles family, we hope that you have a fantastic holiday season and we’ll see you in the new year! Keeping it Simple :: Simple Layouts! TGIF! We made it to Friday! 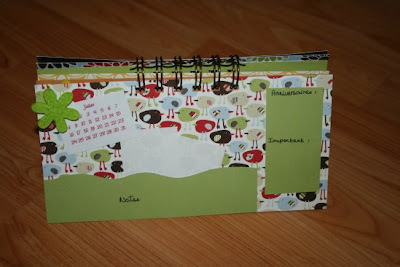 We’re continuing on with our Keeping it Simple project ideas today! 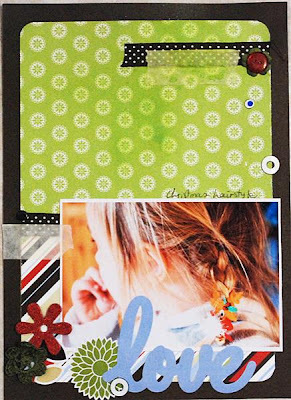 Samantha used supplies that she had on hand to create this fun Layout using the Downtown and Linnie Bell Collections–who would’ve thought that these two lines went together so well?? Maureen limited herself to using numbers, three colors and 30 minutes and came up with this wonderfully simple LO! 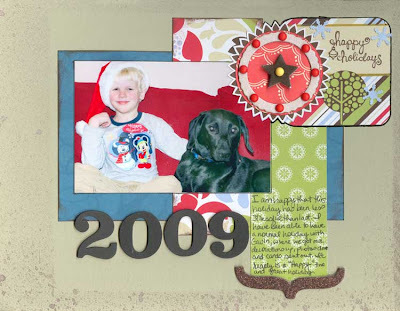 Limiting herself to standard photo sizes, Akiko made this super fun Layout using the Lil’ Buddy Collection! 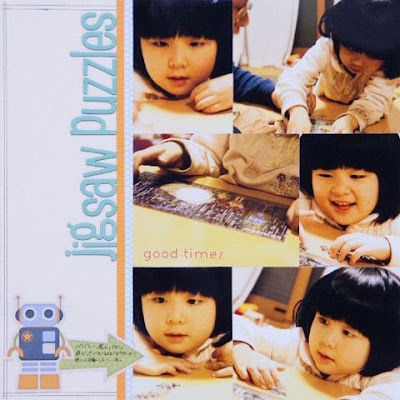 I love how the photos make a little puzzle and go along with the title of the page! I love Gaëlle’s style! This 8 x 11″ LO was just made with paper and stickers and was completed in less than 20 minutes! Lisa put together an awesome sketch and LO based on her sketch! Paper is from the Linnie Bell Collection and stickers are from the Lil’ Buddy Collection. The LO is finished off with Candy Dots, Ribbon and Chips! Thanks for sharing such an awesome sketch, Lisa! Pam gave herself 30 minutes for this LO and stuck to it! 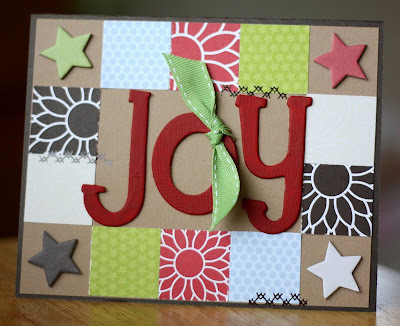 She made this cute 8.5 x 11″ LO as a gift for her mom–so sweet! I’m loving the Candy Dots along the top! Don’t you love the Lil’ Buddy Collection? Ginnifer made this super cute layout and limited herself to just 3 things: paper, stickers and photos! What a perfect photo to use with this collection! 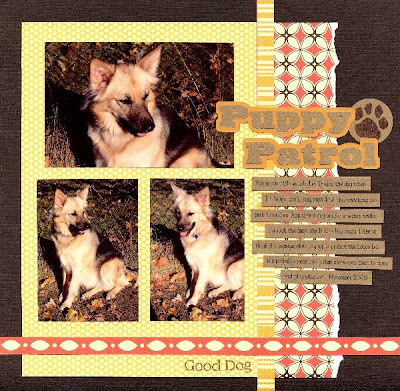 Deanna is finishing up today’s Simple Layouts with this adorable LO! 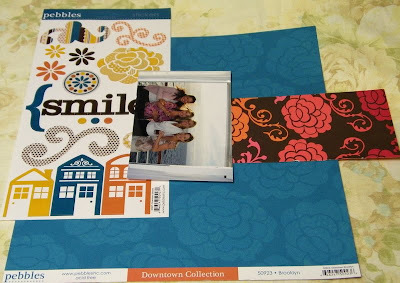 She combined Downtown, Linnie Bell and So Tweet Collections and added some fun Chips and Candy Dots to finish it off! Stop back later this afternoon as we finish off our Keeping it Simple project ideas! 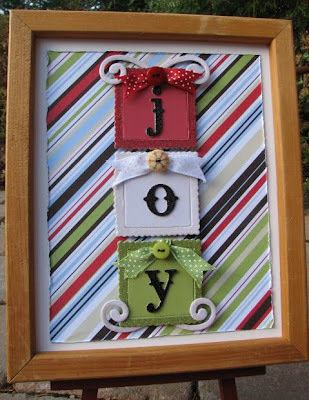 Marielle made this joy picture frame in less than 15 minutes with items she had around the house! 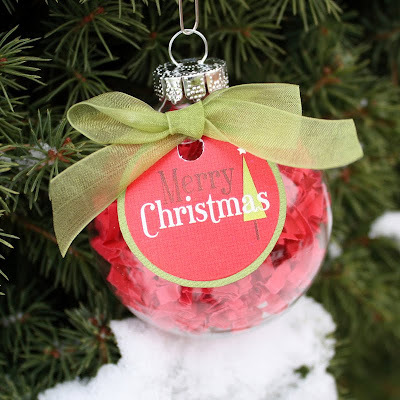 (I might need to make one of these to put on the fireplace mantle!) She used various pieces of Pebbles Chips, Ribbon and paper from the So Tweet Collection to make this fantastic project! 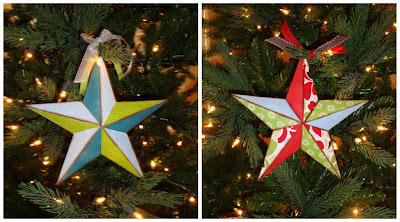 Using cute metal star ornaments she already had, Amy used some Mod Podge and various Pebbles papers to add a little more holiday fun to them–and it took less than 10 minutes! 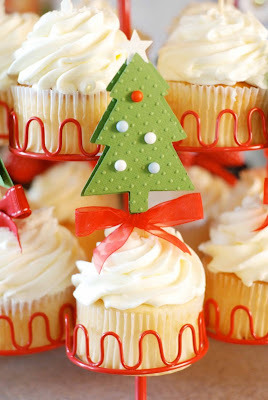 These would be perfect for a holiday ornament exchange! 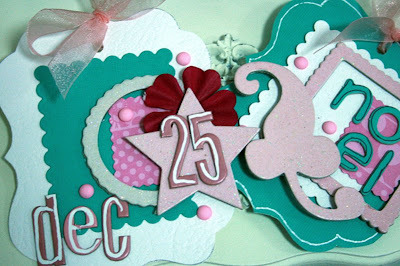 In less than 15 minutes, Susan created this adorable gift card and box set! 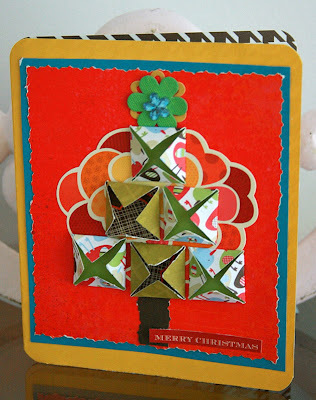 For the card, Susan cut paper to make a bas and then added Ribbon and a chipboard star to make the tree. For the gift card holder, Susan took a pre-made box and added paper to the front. Then she tied ribbon to the top. Super simple and perfect for little gifts! 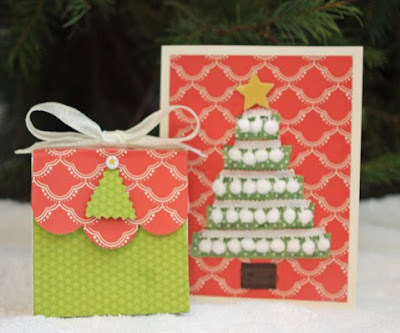 Susan also created this super cute Christmas tree in less than 30 minutes! 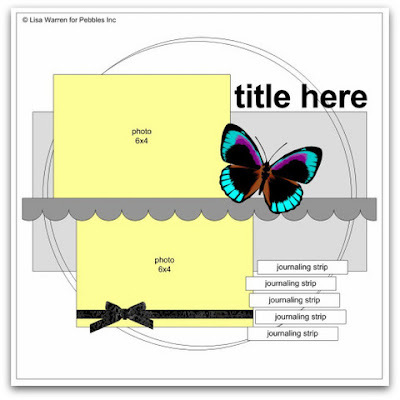 Instructions from Susan herself: take a premade form such as the one I got from Hobby Lobby. Tear strips of paper and dip them in gesso (or white paint). Glue to your form – working your way up. Next add chips to act as decoration and top with a chip star. There ya go! Instant tree! I apologize for the delay in kicking off our Keeping it Simple week–can you say “technical difficulties? 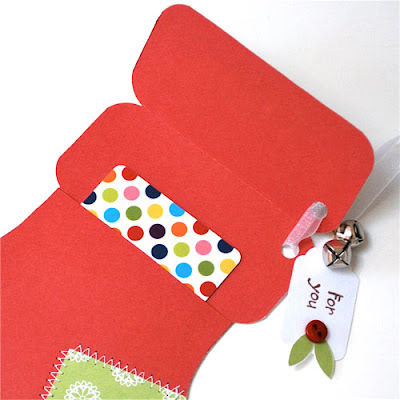 !” Thursday and Friday will be filled with more keeping it simple ideas–perfect for those last minute ideas! See you tomorrow! We’re wrapping up our fantastic week of Gift Ideas this afternoon! We hope that you’ve been inspired by some of the ideas we’ve shared over the last few days! 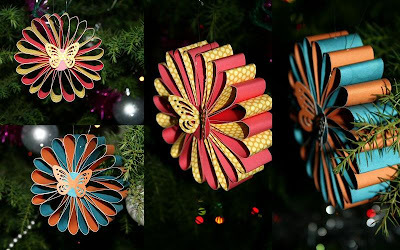 Sophia kicks our final day off with these cute and simple ornaments made from the Downtown and Linnie Bell Collections and embellished them with a fun butterfly punch! 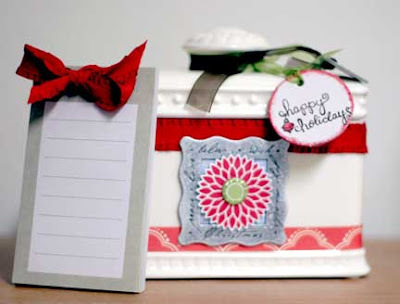 Deanna altered this cute ceramic jar and note pad using paper and Ribbon. 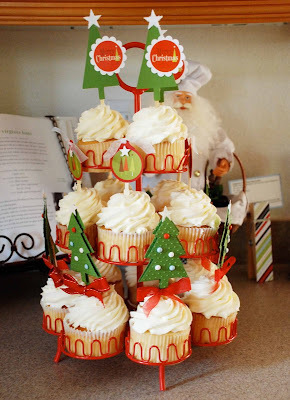 What a great idea to use things you already have around your home and dress them up a little more for a gift! 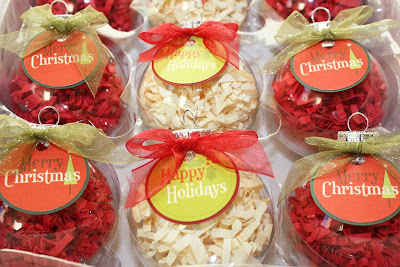 These cute tags are perfect for a non-traditional holiday color palette! Emeline used Skipping Along paper, Pebbles Chips and Pebbles Ribbon to create these fun and kinda funky tags–I think they’d be perfect on a gift that was wrapped with kraft paper! Don’t we have one incredibly talented Design Team??! Thanks ladies for sharing some of your gift ideas with us! Share your gift ideas with us and you could be featured on the Pebbles blog! Drop us an email: lindsay@pebblesinc.com! We’d love to hear from you! Thanks to everyone who entered our Chalk Giveaway! We loved reading through everyone’s Christmas traditions–I think I have a few new ideas for this year! **Note: We had some technical difficulties on Friday, so we weren’t able to post the wrap up to our Gift Week–check back this afternoon to check out more fantastic gift ideas!